Grocery offers, Coupons, deals, cashback, discount and promo codes. Use Grocery offers, with CouponGod and get attractive discount on deals. Big Basket RBL Offer, 10% instant discount, shop for Rs. 1500 & above. 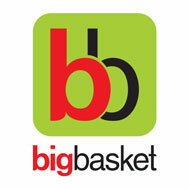 Big Basket RBL Offer is valid only on credit cards. Bigbasket Kotak Bank Offer, 10% instant discount, shop for Rs. 1500 & above. Bigbasket Kotak Bank Offer, is valid on All Wednesdays in April 2019. Bigbasket Mobikwik Offer 2019 - Rs.100 SuperCash on shop for Rs.800. No Bigbasket Mobikwik Coupon Code required.